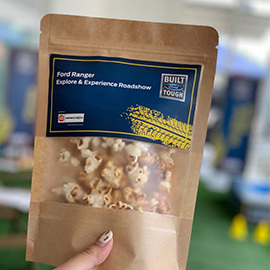 KUALA LUMPUR, Malaysia, 13 February 2019 – Sime Darby Auto Connexion (SDAC), the sole distributor of Ford in Malaysia, today announced the ‘Ford Ranger Explore & Experience Roadshow’ which will run in February until June. Held at participating Ford showrooms, visitors will be able to explore and experience the Ranger’s smart and safe technologies which has helped the Ranger continue to set industry benchmarks and win multiple accolades, such as being awarded Pickup Truck of the Year in 2018. Opportunity on exciting promotions on selected Ford models will also be made available. The roadshow also comprises various family-friendly activities such as plinko, rubber duck and a kids colouring corner to keep children entertained. Available in Malaysia in nine variants – including the high-speed, off-road performance Ranger Raptor, the high-series Ranger Wildtrak, XLT+, XLT and XL, the line-up features Ford’s latest generation 2.0-litre Bi-Turbo diesel engine which is mated to a 10-speed automatic transmission on selected variants to deliver incredible performance, unchallenged responsiveness and improved fuel efficiency. Drive on to selected Ford showrooms and be prepared to be blown away by exciting fun family activities and promotions at the Ford Explore and Experience Roadshow!